Anyway, on to the main event. This certainly isn't a new idea, but it's my first adult attempt at candle making. I'm hooked! I'll be adding this to my LANT list. I've been furiously scouring the charity shops for teacups, but only came up with these four, plus a set of four 1980's expresso cups. I love that one at the front on the right. They're all scented, a mixture of Fresh Cut Flowers, Blueberry Cheese Cake and Chocolate Covered Cherries. Not all in the same candle of course! I had a bit of an accident with these two! I made a bit of a murky colour when filling the top up, beneath the first inch or so is a lovely green! 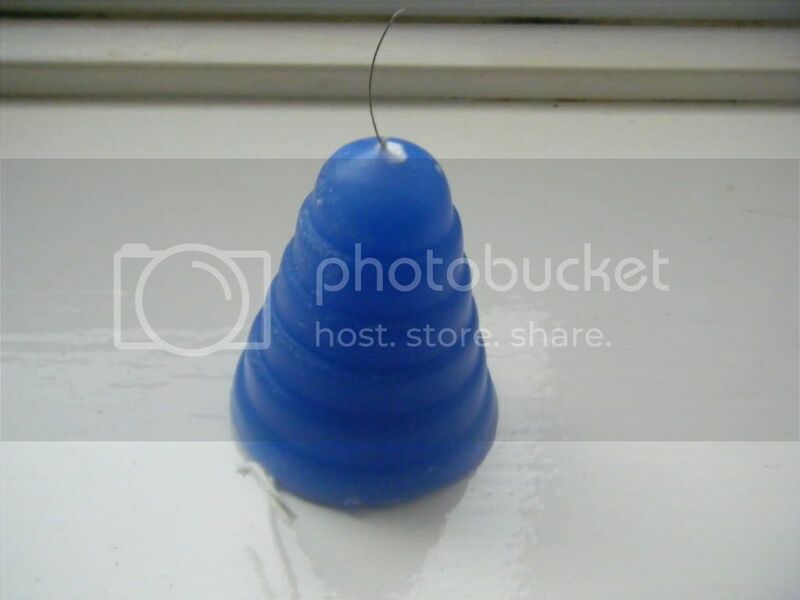 I also got the wax all over the wicks. I'm going to scrape the wicks off and then colour the top with the gold wax pen I bought. Note that it has no wick!! I'll melt it down and try again. 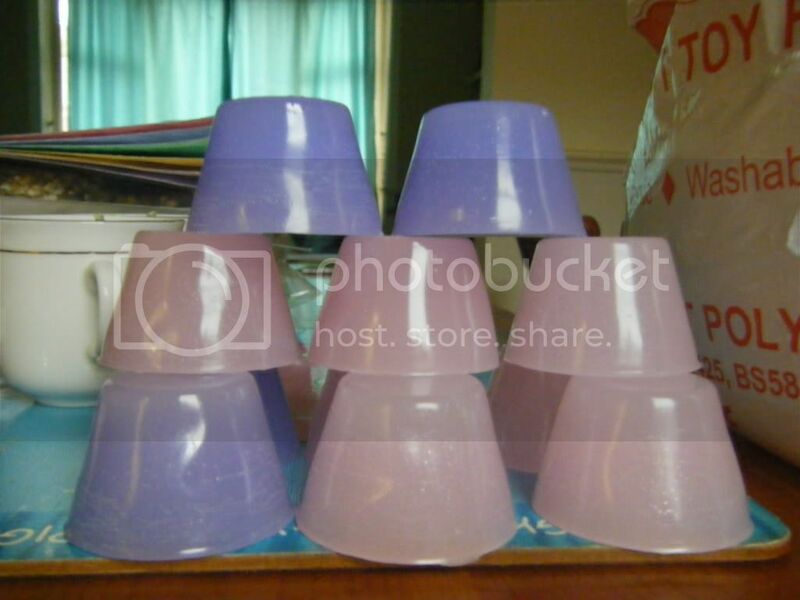 I also bought a couple of votive moulds to make some more candles as I have so much wax, but the shop forgot to put in the wick sustainers I orders to that will have to wait. I have a burner so I made some melts for it and for any friends that might like then. I used a silicone muffin mould I bought for a pound. Bargain. 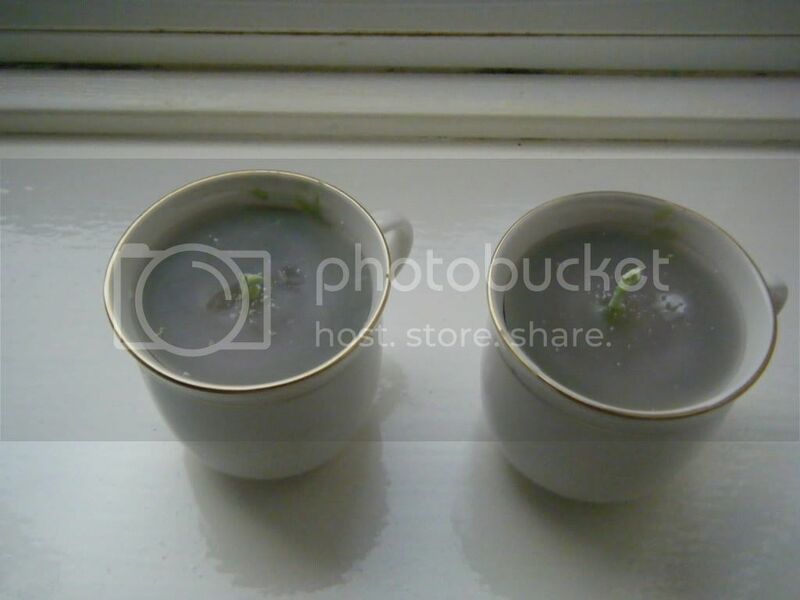 I was going to post the other day about TAST, but for some reason my work has blocked Photobucket (but not Facebook?!?) so I can't see my posts properly from work. What a pain in the arse. Anyway, I've taken the plunge and I'm joining in with Sharon B's TAST challenge. For those of you that don't know Sharon's blog PinTangle, it's a year long stitching challenge - Take a Stitch Tuesday - where we learn and practice a new embroidery stitch each week. My embroidery needs some serious work so I'm hoping this will help, and that I can keep up! Come and join up if you fancy a go. Wow, you've been busy. I like your candles. All of them, lol. Enjoy your new techniques and your new stitches!! these look fab - brilliant idea for Christmas presents. 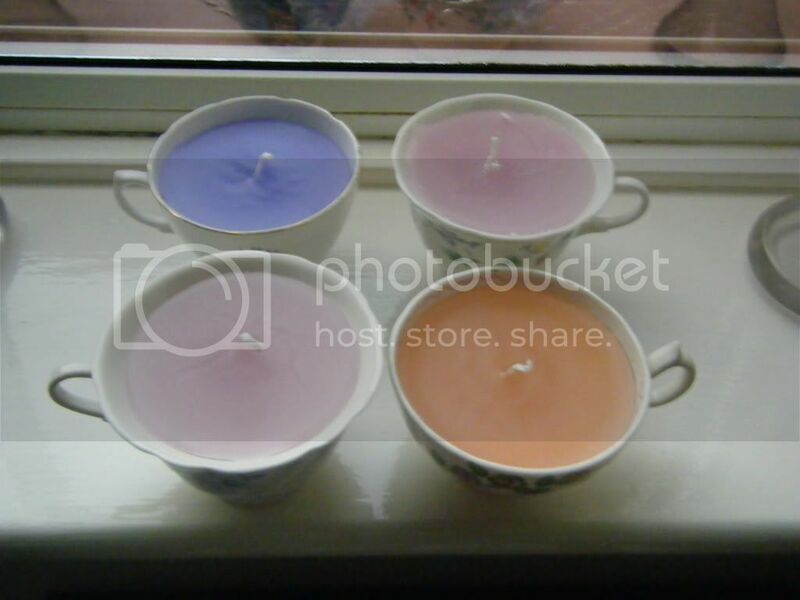 I haven't made candles since I had a kit when I was a kid but maybe i should have another go! 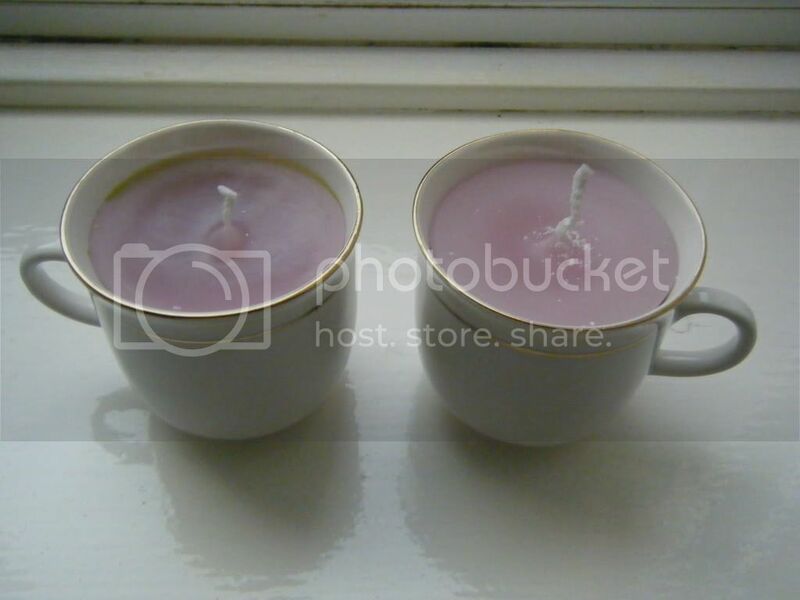 I LOVE the teacup candles! I never have tried this. Good for you, great Christmas gifts! They're lovely - perfect for Christmas gifting! I bet they smell delicious! 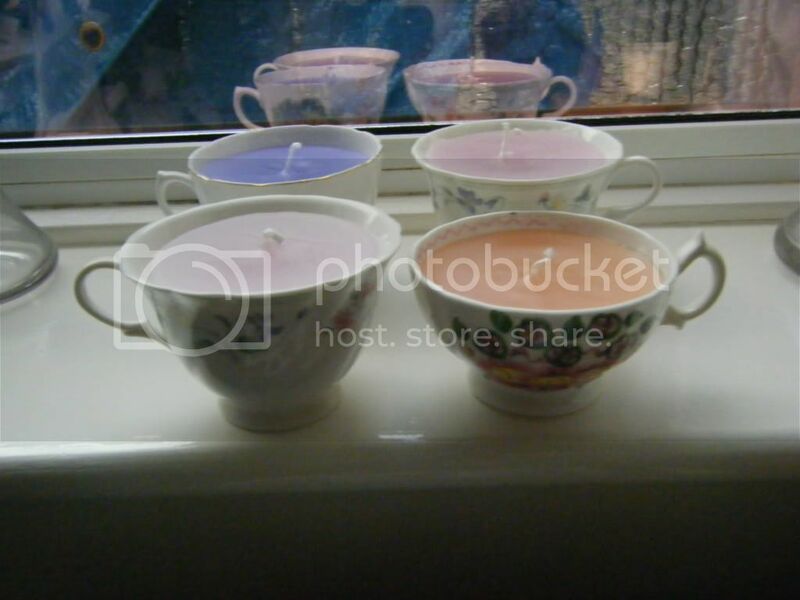 lovely candles these are definitely going on my to do list!